Nursing Home Bill of Rights Important as Silver Tsunami Approaches - South Carolina Nursing Home Abuse Lawyer | Strom Law Firm, L.L.C. Specific areas of the United States are seen as ideal retirement destinations, including South Carolina. As the Baby Boomer generation ages into retirement, and faces health problems associated with old age, many hope to move to warmer or more temperate environments to make the last years of their lives more enjoyable. This influx of senior citizens is referred to as the Silver Tsunami,” and many states like South Carolina do not have the health care infrastructure to handle the coming storm. According to one report, South Carolina’s senior citizen population is set to double by 2030, as both current residents age, and some Baby Boomers move into the state. 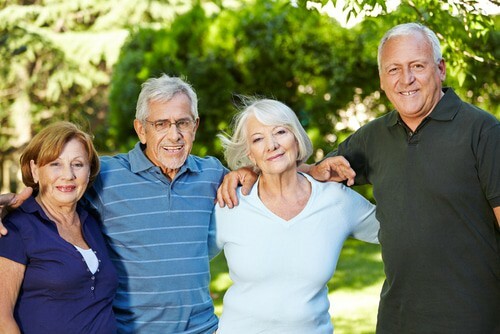 The US Department of Health and Human Services Administration of the Aging estimates that South Carolina has one of the fastest growing senior citizen populations in the country, and by 2030, about 22% of the state’s population, or 1.13 million people, will be elderly. That means they will need Medicaid, Medicare, hospice, palliative care, nursing homes, long-term nursing facilities, skilled nursing facilities, and caregiving agencies to help them as they age. South Carolina also boasts a higher-than-average health care need among senior citizens because of chronic health problems in life, including high rates of smoking and obesity among the aging. Further, 1 out of every 11 senior citizens is at risk of hunger and malnutrition, making it one of the top 10 insecure states senior citizens to live. In 2010, South Carolina had only 186 nursing homes, with 19,000 beds total. Of those beds, 91% at the time were occupied. That was almost five years ago. “We can’t have a fully functional long-term care system without a robust institutional component, but at the same time not everybody’s needs are going to be met in an institutional setting,” said S.C. Institute of Medicine and Public Health Director of Operations Lee Pearson. As SC faces the silver tsunami, it is more important than ever for family members and caregivers to know the state’s rules, regulations, and laws regarding senior citizens, caregiving agencies, and nursing homes. The Omnibus Act includes many protections for senior citizens, whether or not they are nursing home residents, including the right to file criminal abuse charges with the Vulnerable Adults Investigations Unit of the South Carolina Law Enforcement Division, and have non-criminal abuse charges investigated by the Adult Protective Services Program in the Department of Social Services. All nursing home or assisted living facility residents have the right to their personal property, as well as the right to help applying for Medicare or Medicaid services to help pay for their stay at a nursing home or skilled nursing facility, and they cannot be asked to leave because they use these services. Most importantly, long-term, nursing home, and assisted living facility residents have the right to see family members, caregivers, ombudsmen, or legal representatives. These people can help monitor the senior citizen for signs of physical, mental, sexual, or financial abuse.